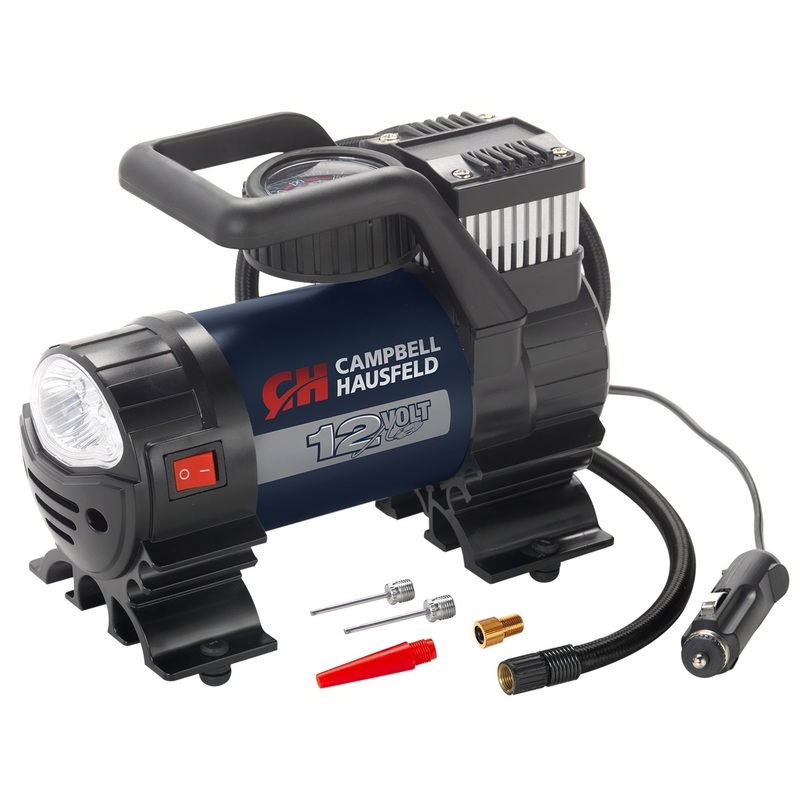 The Mighty Campbell Hausfeld 12 Volt, 150 PSI Inflator (AF010400) is portable, yet powerful enough to meet all your inflation needs from sports equipment to RV/truck tires and everything in between. 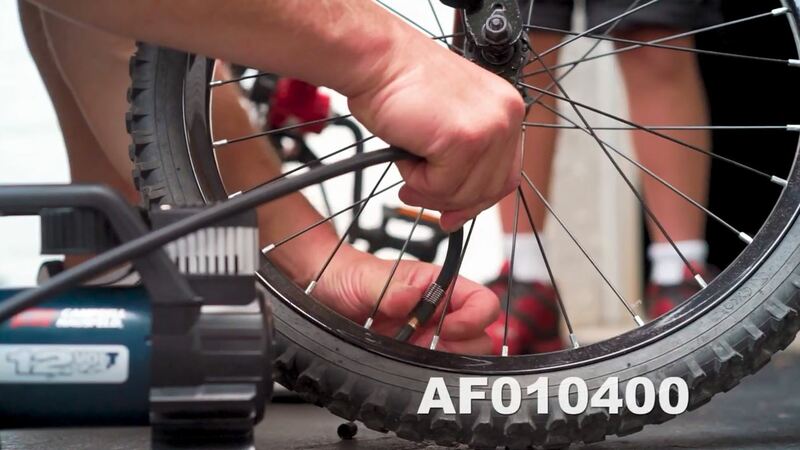 A 31 in. 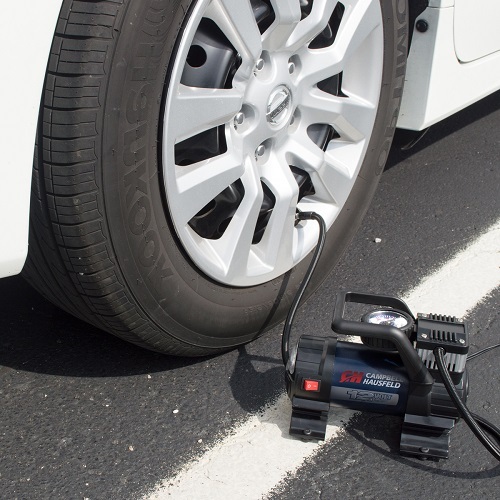 hose with a threaded leak-proof valve and a 10 ft. power cord makes it easy to reach every tire on your vehicle. 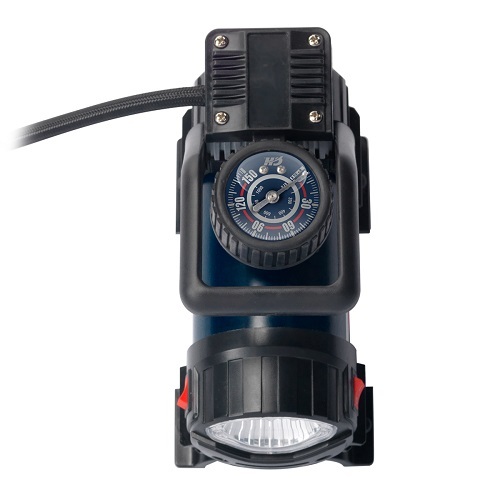 In a roadside emergency or in your own driveway, this inflator has an accurate, easy-to-read gauge, & a bright LED light for night-time visibility. 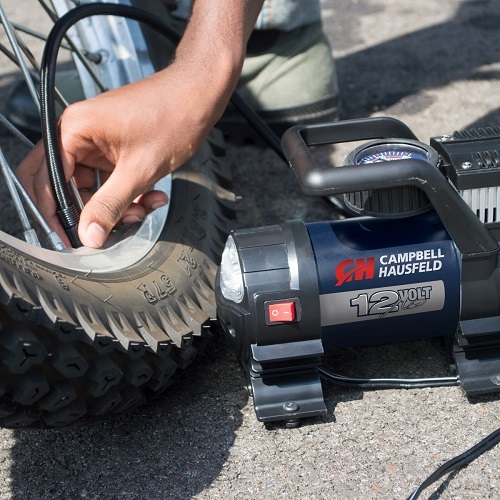 With the power to inflate a standard R15 tire in under 4 minutes, the powerful motor delivers results in an efficient manner. 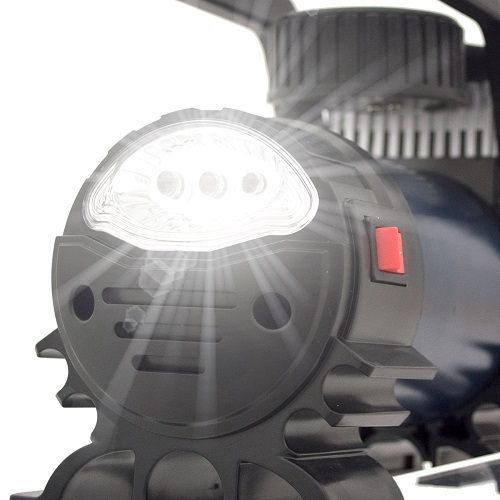 Includes a sports needle, inflation nozzle and Presta adapter to tackle recreational inflation as well. 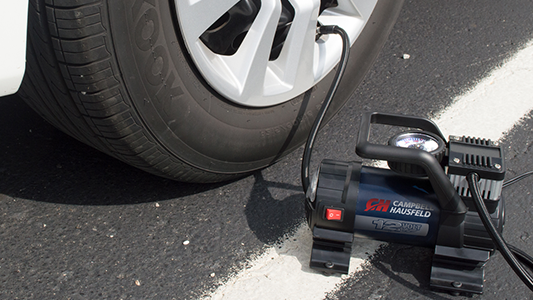 Learn how inflators help you complete jobs around the house and handle roadside emergencies. Trying to find that in New Brunswick.